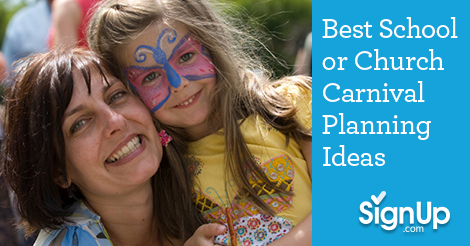 Best Carnival Planning Ideas for Fun & Profitable School, Church or Community Festivals! No matter what you call your BIG event, incorporating the latest trends into your school, church or community carnival is a sure way to boost profits, increase turnout, and deliver more fun for everyone! If you’re in charge of planning the carnival, organizing the volunteers, soliciting auction basket donations, or participating on a festival planning committee - please scroll down and review our helpful resources. 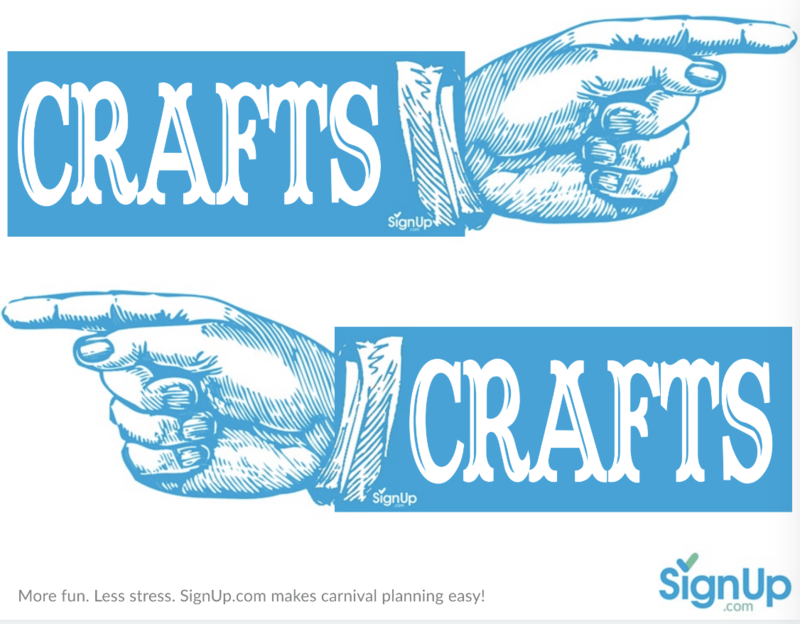 Don’t miss our FREE Printable Carnival Signs, guaranteed to please! We wish you a fun and memorable Carnival using all the SignUp.com planning tips and ideas below. Please share your experiences on our Facebook page so we can celebrate your Carnival success stories! From ensuring behind-the-scenes success to building buzz and adding a fresh face to your annual fundraiser – check out these trends and tips for helpful technology and can’t-miss game and booth ideas that are sure to “wow”. Custom Snapchat Geofilters: Design a custom filter for Snapchat photos that matches your carnival theme for attendees to share and promote while they socialize their carnival experience. Since Snapchat photos are shared instantly, this builds buzz, boosts turnout among folks who may have forgotten about the event, and sells more tickets. Upload your design about a week in advance to Snapchat and define the area to be covered by your filter’s geofence. Snapchat charges a small fee for the filter depending on the size of the fence as well as the time it’s active. 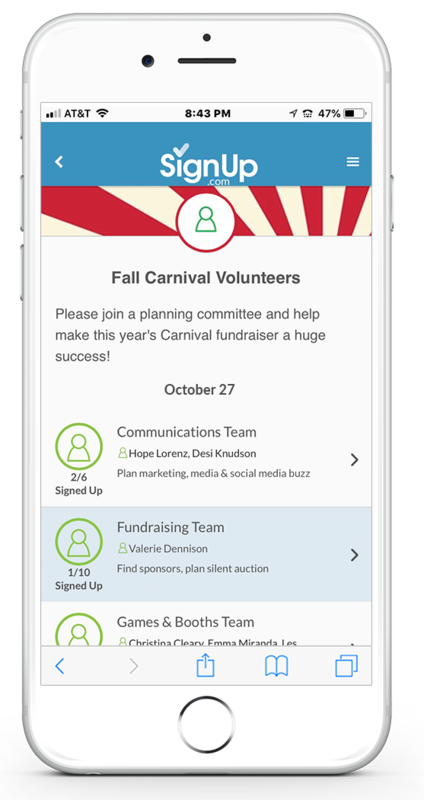 SignUp.com Volunteer Scheduling: The critical ingredient for a successful festival or carnival is hands down volunteer support. From staffing games and booths, to selling tickets, finding sponsors, selling concessions, setting up and inevitably cleaning up, the sheer volunteer participation can leave any organizer overwhelmed. 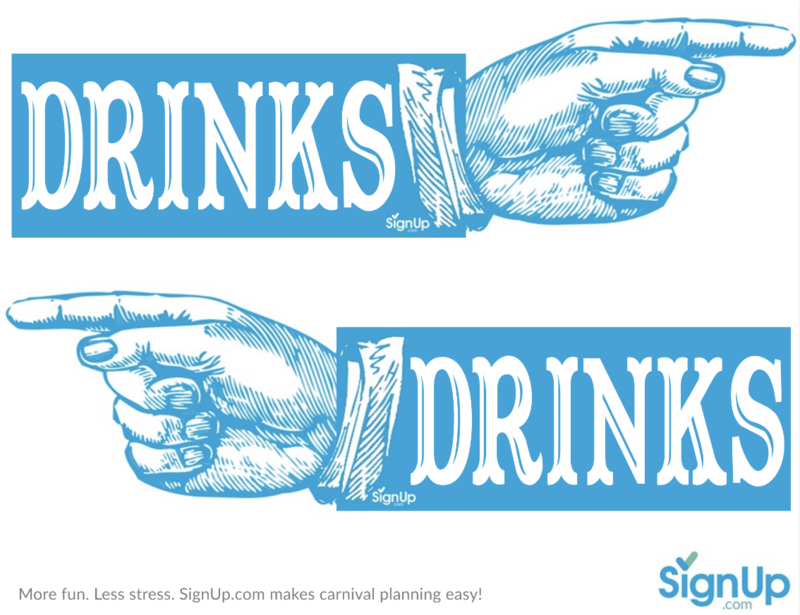 Stress less and save yourself and volunteers time by coordinating your carnival sign ups online! 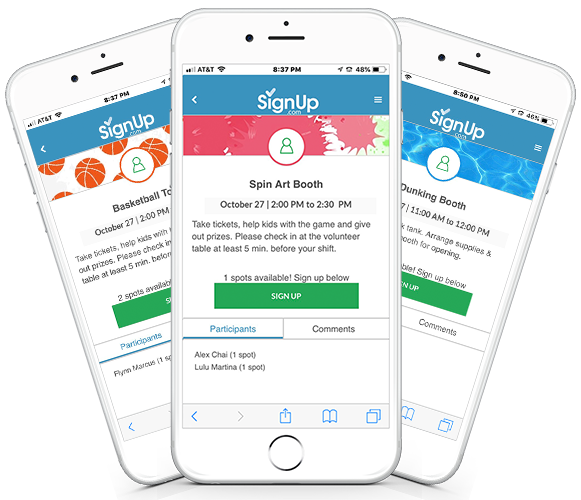 Fast, easy and convenient, free online sign up sheets from SignUp.com are the answer for getting more parents and volunteers involved, increasing turnout, profits and fun! Walkie-Talkie Apps: Carnival committee leaders need to stay in constant communication with their teams throughout the entire event. Several smartphone apps mimic the walkie-talkie experience of instant push-to-talk communication. Search your app store for current push-to-talk walkie-talkie apps. Several let you set up groups to push the same message to everyone at once. Social Sharing Photo Booth: Make your event “grammable” so visitors are excited to take and share pictures on Instagram (and Facebook too). Photo booths can be rented that include emailing and texting of photos, or easily assemble your own DIY style photobooth with a simple colorful shower curtain backdrop and fun props (jumbo sunglasses, feather boas, fake mustaches) and encourage attendees to take their own photos with their smartphones. Include a sign with your Organization’s Name and Event hashtag to encourage social sharing and buzz-building. Silent Disco: Create a mini dance club tent in the heart of your carnival - rent wireless headphones and a disco ball, hire a deejay (or a volunteer) and get down! All dancers listen to the same music supplied to their headphones and have a blast without drowning out the whole event with loud music. Clear the dance floor every 10 minutes for the next group of dancers. Head in Hole Displays: From superheroes to zombies, cowboys to circus animals, kids and grownups alike can’t resist “head in hole” photo opportunities. Engage artist volunteers to paint multiple life-size backdrops or wood cutouts to be placed around the festival grounds. Include the event name and hashtag for buzz-building and sharing across social media. Product Sales: Slipping your annual product sale into its own booth at your carnival is a great way to add revenue to the bottom line and provide a service to your participants. Keep it seasonal with your spirit cups and popcorn sales in the Fall – bulbs and gourmet chocolate gifts in the winter, and reusable tote bags and garden seeds in the Spring. (Temporary) Tattoo Parlor: The novelty of the face painting booth is taking on new forms with temporary tattoos! With the low cost of buying temporary tattoos in bulk, and the time it saves to apply and make a kid smile at your event, these are a quick and easy alternative to face paint! Obstacle Course Inflatables: Building on the success of obstacle course shows like American Ninja Warriors, bounce house rental companies are taking inflatables to new extremes and drawing eager crowds. Charge a premium number of tickets for each attendee to ‘run the course’ to make your rental investment worthwhile. Touch-A-Truck Lot: Get the entire community involved when you invite the fire department, EMS, local police and waste management services to bring their trucks for all the kids to see (and touch) up close and personal. Robot Petting Zoo: Everyone loves a petting zoo. Move it into the 21st century and invite the local high school or college robotics club to showcase their creations and allow visitors to control them (with supervision of course). Actual animal petting zoos and pony rides also add an interactive activity all ages will love. Game Scores Booth: Set up a booth for sports fans to visit with current sports highlights and game scores from that day (and possibly big-screen TVs). This booth is great for March Madness (Spring), Baseball, and Football seasons (Fall). Get your hands on pennants for participating teams and have chalk or whiteboards updated with games and scores. Spa Oasis: Invite a local massage school to set up stations in a shaded area offering 5-minute hands, feet and shoulder massages. Decorate the area with white balloon 'bubbles', play soothing music and offer chilled cucumber water for refreshment. Food Truck Corral: Is your town in a food truck frenzy? From gourmet grilled cheese, to specialty tacos to craft cupcakes and more - consider inviting the hottest food truck vendors to sell a very limited menu of favorites at your festival. Agree on prices ahead of time and sell tickets so no money is exchanged. Either rent the space for a fixed fee or agree on a percent of sales that gets donated to the organization. Carnival games are the key to any carnival’s plan to maximize revenues. Some things you absolutely have to rent, like jumpy castles / bounce houses, dunking booths and battling padded sumo suits. But if your carnival games are more focused on fun than profit, there are a lot of creative and well-loved activities that can be put together with very little money. The only thing that costs money is prizes -- and even some of those can be free, scroll down to see how. Beading Booth – One roll of thin cord and some creative beading ideas can occupy carnival goers for a long time. Beads can be made ahead of time out of natural materials, rockets tied with wire, clay glazed and fired ahead of time, macaroni for little kids – the beads don’t have to cost much, if anything, and the fun is in putting together your own cool necklace! Sell tickets by the necklace or in 10-minute increments. Bean Bag Toss - Use large cardboard boxes and cut out holes for your bean bag toss. Decorate the cardboard with whatever theme you choose. Cake Decorating Contest – Entrants bring cakes of all kinds to the judging booth. Prepare ribbons for multiple categories by age group: in addition to first, second and third place, create special awards for most creative, seasonal theme, grossest, etc. Cake Walk – Set up numbered squares in a large circle and corresponding numbers on paper slips in a hat. Play music while players walk in the circle and when the music stops they choose the closest numbered square. Pick a number out of the hat and winner standing on the corresponding number gets to pick a cake (from the cake decorating contest). They can also pick other donated treats like popcorn balls, bags of candy, brownies and caramel apples. DIY Decorations – Add some flare and pizazz to your carnival or festival fundraiser this year with these DIY decorations for indoors and out! Create a larger than life Popcorn Box out of cardboard and balloons, a balloon arch entrance and cotton candy lights out of cotton filler batting and string lights. Exile Island - People can buy a chance to send a friend to the carnival's "Exile Island” and while there they can find clues to a mystery prize hidden somewhere in the carnival. Flocking Sales and Insurance - Sell the opportunity to have a flock of plastic flamingos (or 50 pumpkins or scarecrows or potted plants or whatever else you can come up with) placed on someone’s front lawn – and sell insurance policies against being flocked. Also, sell insurance against having your name revealed as someone who’s flocked someone else. It’s like toilet papering someone's yard, but way easier to clean up!! Giant Musical Chairs - Start with 40 people and 30 chairs and work down to one big winner who gets a prize ribbon. Gooooal! – Players try to score a goal against a high school soccer or basketball player. Graffiti Wall – Hang giant pieces of paper and provide paint and markers for participants to add their personal creative mark to a group art project. Variation: provide sidewalk chalk and a designated area for creative expression. Guess How Many - Whether it's a jar full of jelly beans (great for Spring), candy corn (great for Fall) or even simply buttons, filling a large jar and having carnival goers guess how many pieces are in there makes for a fun carnival booth everyone can take part in. Have players right their answer on a piece of paper and announce the winner in a big way towards the end of your event! Hula Hoop Contest - Play some fun music and invite kids and adults to compete in many categories such as longest time hooping, most hoops, best trick, holding-hands, etc. Karaoke 'Idol' Stage - Decorate a stage like the popular TV show, American Idol, and have kids and adults entertain the entire carnival. Charge a certain number of tickets per song and let the audience vote for who stays and who goes. Lollipop Game - Cut a large shape out of Styrofoam and stick it full of lollipops. Color a dot on the end of some of the lollipops. Each player gets to keep the lollipop they choose. But, if the lollipop has a colored mark on the end of the stick, then the player gets to keep the lollipop they picked AND a pick a prize! Pie the Principal/Pastor Raffle - Pie tins filled with whip cream make this booth fast, messy fun for the whole family. This booth can be a special reward for a certain number of carnival passport stamps received or a raffle ticket purchased. Principals, teachers, coaches, pastors and other community leaders will have just as much fun as participants who get to throw pies at them! Pool Noodle Toss - There’s no better way to use your pool noodles at the end of the summer season than in a tossing booth at your upcoming carnival. Tip: Use pool noodles to create the circular targets as well. Ring Toss - Easy to build a ring toss setup with 2-liter soda bottles and plastic bracelets. Tissue Paper Punch Wall - Move over pinatas and say hello to an epic punch wall. Create holes in a large cardboard box and cover each hole with decorative tissue paper. Have each player punch through the paper to find either a prize or an empty slot. TP Toss - Draw toilet seats on large boxes and cut an opening where the bowl would be (or hang real ones) from the roof of the booth. Players toss toilet paper rolls into the seat ‘circles’ to win prizes. Tug of War - All this takes is a big length of rope – might even be available from the PE department of the school. Moms vs Dads, Brothers vs Sisters, 4th grade vs 5th grade, boys vs girls are all great ways to drum up fall carnival games enthusiasm. Toy Swap - Bring a toy and drop it off upon entering the carnival – get one swap ticket for each toy brought. Collect toys up until a certain point in the carnival day. At a designated time, open the toy swap to everyone who’s brought something. This is a great fall carnival game for these tough times, when lots of people have things to give, but not much money. Ribbon Rewards – Cut 5-inch lengths of satin ribbon and tie them to a large safety pin. Each time a child participates in an activity, tie a new colored ribbon to the safety pin. Each booth has a different color. The most active and involved (and ticket-spending) kids will end up with a chest full of ribbons, and a pretty neat keepsake from that year’s carnival. You can even add a special prize offering to the kid who collects the most ribbons. 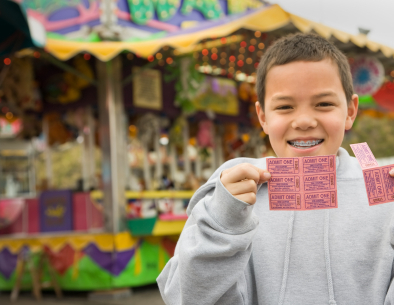 Carnival passports – Each kid gets a passport to be stamped at each activity booth – six or more stamps per card. Once the passport is filled it can be entered into a drawing to win a bigger door prize – another way to drum up more booth ticket sales! Lunch with the principal or pastor– A special opportunity to sit down for a meal with the leader can be a drawing prize. It can be a casual lunch or something nicer, donated by a local restaurant. Clean out the closet favor bag– Send out a notice asking for parents to donate leftover party favor prizes – this alone can fill up most of the needs of the fair for prizes. Apple or Pumpkin Photo Station - Set up bushels of apples or piles of pumpkins, add a large solid-color shower curtain as a backdrop and hay bales to sit on and you’ve got a family portrait station ready to go. Add a scarecrow, skeleton or other festive props. Bobbing for Apples - Get your bob on with this classic that never gets old. Variation: Hang apples from a tree branch secured by a binder clip. Canned Food Drive - Have your carnival double as a food drive for a local food bank. Give out bonus tickets for bringing canned goods to the carnival and even more bonus tickets for bringing reusable bags to tote home goodies and prizes. Make your next carnival good for the earth and good for your local community. Caramel Apple Bar Station - Turn this fall favorite treat into a booth loaded with a variety of toppings from sprinkles to shaved coconut and chocolate chips. Make it easier for small hands and less messy to eat by using apple slices with popsicle sticks instead of full-sized apples. Guess what? - Have strange substances in containers and participants have to guess what it is either by smell, touch or sound. (Make sure to have allergy information on ingredients at hand.) This is especially fun as part of a spooky fall carnival game area. Hay Bales for Seating - Need some ready built seating that seconds as festive Fall decor – hay bales are your answer clustered around water and food stations and booths with long lines. Pumpkin Memory Match Game - With an even number of miniature pumpkins create the game of memory by taping or pasting duplicate images on the bottom of the pumpkins. Have each player find the matches. Person with the most matches wins a prize. Pumpkin Patch - Use the fall season to your advantage and host a pumpkin patch at your carnival event. Raise money on pumpkin sales and have delightful decorations at the same time. Pumpkin Decorating - Each participant gets a tiny pumpkin to decorate with paint, markers and press on googly eyes. Zombie Station - Put a scary twist on the traditional face-painting booth by painting dripping blood (red paint) and applying temporary tattoos of bite marks, scratches and oozing wounds. Balloon Splatter Paint: Water Balloons + Paint = Kid-Friendly Splatter Painting. Hang a large white sheet and watch your kid churn out his own Jackson Pollack creation with a few paint-filled balloons and a good arm. Baseball Pitch: Pitch baseball or softball into different-leveled hula hoops. Confetti Eggs: Keep kids feeling festive as they lightly crush hollowed-out, confetti-filled eggs onto their friends and families’ heads. Dunking Booth/Sponge Toss: Watching the principal or your favorite teacher get dunked is probably an all-time favorite for kids. If renting a whole booth isn't in the budget, however, consider an inexpensive alternative where kids get to soak big sponges and throw them at unassuming victims 10 or 15 feet away. Flower Pot Game: Set up several small flower pots filled with wrapped candy on a table and players toss colorful ping pong balls decorated with flowers and butterflies into the pots to win pieces of candy. Flower/Butterfly Head in Hole Photo: Engage student artist volunteers to paint giant backdrops or cutout props of spring flowers and garden insects for a colorful photo opportunity. Pencil Flower Pot Craft Booth: Participants wrap pencils in green pipe cleaners for the stem and tape pretty felt flowers at the eraser end of the pencil. “Plant” flowers in green garden foam inside small clay flower pots. Spray String Corral: Stock up on small cans of party spray string in festive colors and rope off a corral area for kids to safely spray each other. Stand back as giggles and festive mayhem ensues. Sprinkler Tug of War: A simple game of tug of war with a twist – the dividing line in the middle is a blasting sprinkler! Tissue Paper Flower Booth: Colorful tissue paper, scissors and pipe cleaners come together in beautiful bouquets of Spring flowers. Set up examples and instruction posters for several flower types, simple to complex. Water Limbo: A shooting stream of water is the limbo stick in this game. The winner is the one who does not get wet. Fair, festival and carnival food is a delicious addition to your fundraiser or community event this season. Consider setting up individual stations where carnival staples become their own booth for families to spend time and have fun designing their own refreshments. 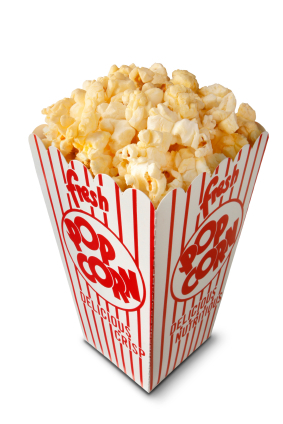 Popcorn Station: Salt, parmesan, chili powder and other select seasonings give families the option to flavor their popcorn cups to their taste; add kettle and candy corn to the mix too OR chocolate drizzle to get really creative! Hot Dog Station: Don't forget all the fixin' like ketchup, mustard, slaw, relish, onions, cheese, you name it! This is an all-time favorite families love! Cupcake Station: Super sweet and fun, make sure you have lots of yummy toppings for mini cupcakes including colorful icing, chocolate chips, sprinkles, cinnamon, you name it! Sundae Station: Great for your Spring outdoor event, a Sundae station is easy peasy - don't forget the chocolate syrup, caramel, berries, nuts, and chocolate chips. Looking for less mess? Try a shaved ice or snow cone station where patrons add their own syrups and flavors. Corn Station: Street corn is a novelty favorite that goes well at any event; grilled or boiled, corn on a stick with butter, salt, cheese powder and other seasonings makes a great food station people will line up for. Fruit Station: Get creative (and healthy) with a fruit station! Think fruit in small cups, fruit kebabs, chocolate covered frozen bananas and more! Trail Mix Station: Everyone loves trail mix! Mixed nuts, raisins, m&m's, dried fruit and more make this an easy peasy food option that's pretty healthy too. Looking for a simple way to keep all of your carnival guests in-the-know with appropriate & festive signage thats bigtop worthy? 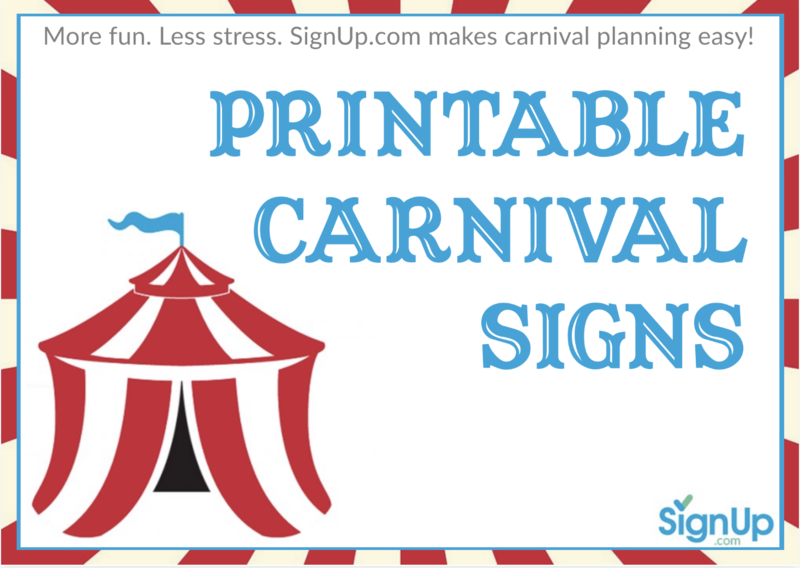 Look no further than these Free Printable Carnival Signs for your upcoming event. See a sample of carnival signs available below. 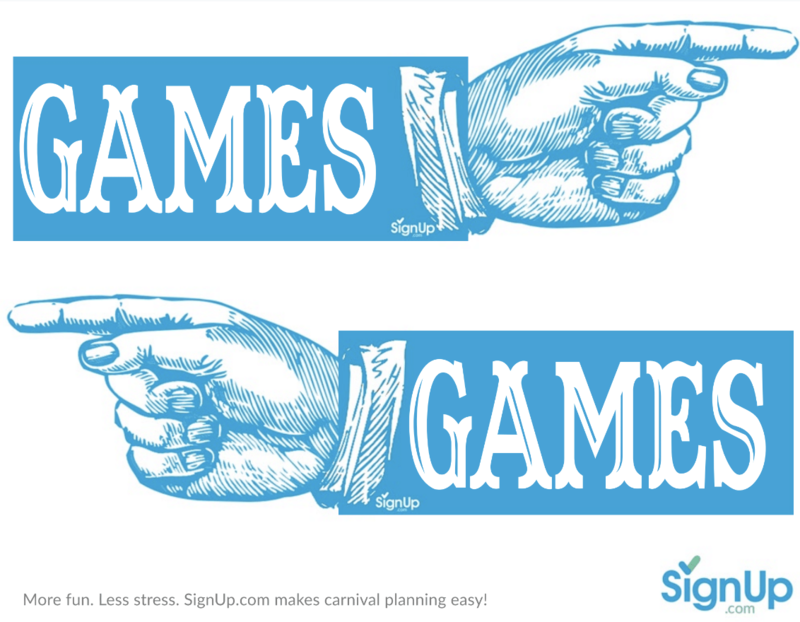 Pair these signs with the designated booths and games at your next carnival and all your attendees will know exactly where to go and what to enjoy and you'll have one less thing to juggle as the carnival ring leader! What do you need to secure your location? Will you need to hire private security? What insurance is required by your venue? What are your sponsorship tiers and how will sponsors be solicited, recognized and thanked? How will you promote the event (consider a mix of traditional and social media)? How will cash and credit cards be handled? Who will be the volunteers and how will they be organized? Will you sell tickets or fixed-priced wristbands? What is your carnival theme? Is there plenty of seating and shade for family members of all ages and abilities? Will rental hygiene facilities be required? You can see there is a lot to consider when planning your festival. For most groups, plans are reused, refreshed and fine-tuned from year to year, so you won’t be starting from scratch. Learn what you can from last year’s carnival team, embellish with your team’s creativity to make your mark, and take good notes for next year’s leaders to ensure a cycle of success. Typical planning committees are listed below. PRO TIP: Assigning co-chairs for each committee ensures someone can cover when family or work commitments disrupt a leader’s committee responsibilities. Management & Logistics: Sets the carnival goals and budget. Responsible for permits, insurance, security, first aid, day-off communication, and overseeing that committees meet their deadlines and have what they need to be successful. Communications: Determines the theme for this year’s festival. Develops the communication strategy for promoting the carnival to your community including producing banners, flyers, posters, signage and maps, talking to local media outlets and generating buzz on social media. Fundraising: Develops sponsorship tiers and secures cash and in-kind donations from local businesses. Ensures all signage and communication appropriately recognizes sponsors. Oversees add-on fundraisers such as Silent Auctions or Product Sales. Concessions: Determines what food and refreshments will be sold at the festival and where. Consider a mix substantial food items such as burgers, hot-dogs and local favorites like burritos, kolaches or chili. 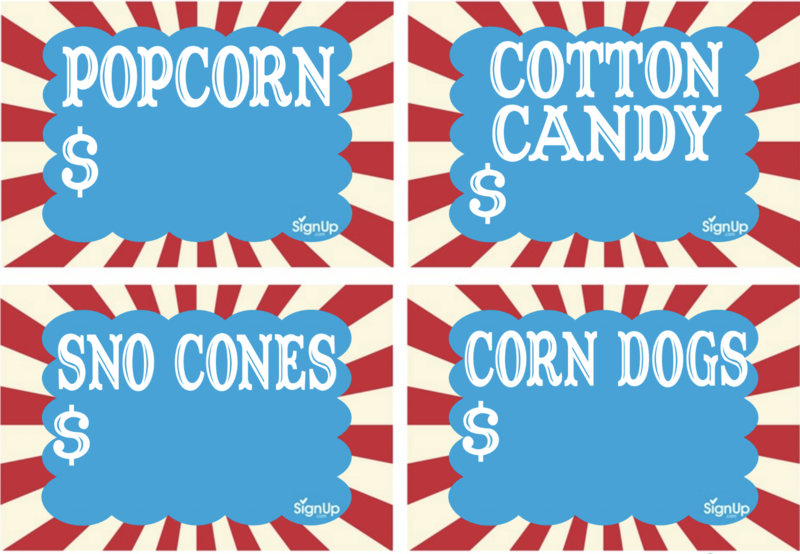 Include plenty of quick snack stations selling items like popcorn, cotton candy, churros, candy and ice cream. Carnival guests should never be far from water and sodas. PRO TIP: If food trucks are popular in your area, consider adding a Food Truck corral with a limited menu and a percent of profits going to your group. Ticket Sales: Procures tickets or wristbands, sets prices, develops security protocols for collecting funds, sets up credit card processing. Typically carnivals focused on community-building will sell wristbands giving unlimited play for a fixed price. Events focused on maximizing profits will sell tickets so special and more popular games and booths can be set at a higher number of tickets. PRO TIP: Sell tickets/wristbands in two different colors. One color for pre-sale and one color for during the event; this will help you distinguish between sales and gather good estimates for next year. Carnival Booths & Games: Chooses what booths and games will be included in this year’s festival. Decide if and what premium entertainment to rent such as pony rides, elaborate bounce-house obstacle courses, silent disco, sumo wrestling, etc. 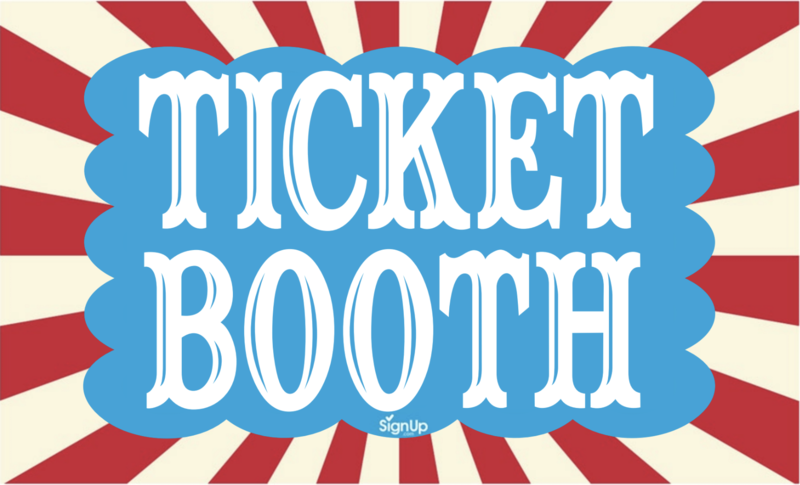 Work with the Volunteer, Ticketing and Communications team to build and decorate booths, signage and set prices. Volunteers: Recruits and coordinates volunteers for all aspects of the event including setup and decorations, clean up, parking and ticket attendants, booth and game volunteers for each section, concession stand volunteers and more. PRO TIP: SignUp.com makes it easy to recruit, schedule and track carnival volunteers. Prizes: Selects and purchases prizes for the carnival games. These can be smaller prizes distributed at each booth or a passport system with a prize table where kids redeem ‘passport stamps’ from each booth for a larger prize at the end of the carnival. PRO TIP: Designate specific prizes to each booth - this keeps lines moving and when children see others walking around with a prize they like, they will find the booth where they can get it and play, play, play to win! Set the Date - get your Carnival on the calendar as early as possible and reserve a backup date in case of bad weather. Choose Carnival activities, games and prizes. Think about using readily available props and equipment and inexpensive or donated materials. Complete the purchasing or gathering of tickets, prizes and homemade decor items needed. Print an instruction sheet and time table for each activity station. Include step-by-step instructions for volunteers about how the game is played and any modifications or accommodations per age group. Put each one in an individual plastic sheet protector clipped to a clipboard for easy access. Celebrate & rest well - you’re a carnival hero and brought joy to many!